From the moment a child is born they start to learn and parents play a central role in their education. This role continues when the child starts school and at Bridgewater Primary School we aim to form close relationships with children and their parents so that their education continues as smoothly as possible. We actively encourage and welcome all parents and carers to become involved in the life of our school. There are many ways that parents, carers, grandparents and friends of Bridgewater can become involved in the life of our school and these are listed in our volunteer section of our website. 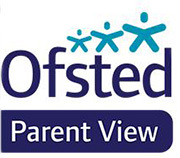 In response to the evidence and requests from schools, Herts for Learning (HfL) has developed a parental education programme, Parent2Parent®, aimed at helping parents to improve the learning experience at home by embedding key teaching and learning behaviours. The programme provides an entirely new support service to schools enabling parents and carers to gain confidence and new skills that will actively support learning at home. It is focussed on generic learning themes and is not specific to the curriculum or specific subjects. The benefits of the programme include an improvement of education outcomes and increasing parental involvement to enable relationships with school to become stronger. Parent2Parent® adopts a modular approach with each module focused on a different learning technique. The programme is universal and is relevant to parents/carers of children of all ages and all abilities. The programme will initially be delivered to parents by a HFL Parent2Parent® trainee and then parents/carers that have attended the programme have the opportunity to be trained as leads for future sessions.